“This has been going on for some time. Simply put, there are a number of docs and treatment centers that are leading the charge, a full frontal assault on the FDA to obtain the right (which should not be something they need to petition for) to use autologous (from the patient’s own body) adult stem cells for treatment. There are a number of regulations that need to be met and federal, state and local law before one can treat in the USA. Almost nobody knows how to do this. Even those that do, can still come under fire and spend their entire war chest battling in the courts. Even if you win over and over, you still can waste valuable time, money and energy better spent treating patients and researching protocols and developing ideas. There are also many patient groups who are actively lobbying for these rights and numerous petitions floating around. The call to arms I recently wrote which I am putting the finishing touches on, entitled “The Public Wants Stem Cell Treatments” addresses these issues directly. These are the front lines my friends and the docs and patients are on one side and the FDA and upstart regulatory bureaus trying to get a market share of stem cell regulation are on the other. Welcome to the wild west. The mortars and shrapnel are flying and anyone who sticks their head out of the fox hole will incur a mortal wound. The number of hoops required to jump through are daunting and almost nobody knows how and fewer are willing to take the chance but the potential upside is thousands, tens of thousands, hundreds of thousands, millions of chronic and terminally ill patients with incurable disease recovering, going into remission, reclaiming their health and their lives. Type 1 diabetes is caused by the body’s own immune system attacking its pancreatic islet beta cells and requires daily injections of insulin to regulate the patient’s blood glucose levels. A new method described in BioMed Central‘s open access journal BMC Medicine uses stem cells from cord blood to re-educate a diabetic’s own T cells and consequently restart pancreatic function reducing the need for insulin. Stem Cell Educator therapy slowly passes lymphocytes separated from a patient’s blood over immobilized cord blood stem cells (CBSC) from healthy donors. After two to three hours in the device the re-educated lymphocytes are returned to the patient. The progress of the patients was checked at 4, 12, 24 and 40 weeks after therapy. C-peptide is a protein fragment made as a by-product of insulin manufacture and can be used to determine how well beta cells are working. By 12 weeks after treatment all the patients who received the therapy had improved levels of C-peptide. This continued to improve at 24 weeks and was maintained to the end of the study. This meant that the daily dose of insulin required to maintain their blood glucose levels could be reduced. In accordance with these results the glycated hemoglobin (HbA1C) indicator of long term glucose control also dropped for people receiving the treatment, but not the control group. Scientists have reported improved results for creating insulin-producing cells within a 3 dimensional environment, as opposed to the standard 2 dimension within a Petri dish. By creating an environment that mimics the inside of an embryo, scientists are able to use this new knowledge to improve diabetes treatment and stem cell treatments for chronic diseases of internal organs. Scientists from The Danish Stem Cell Center (DanStem) at the University of Copenhagen are contributing important knowledge about how stem cells develop best into insulin-producing cells. In the long-term this new knowledge can improve diabetes treatment with cell therapy. The results have just been published in the scientific journal Cell Reports. Stem cells are responsible for tissue growth and tissue repair after injury. Therefore, the discovery that these vital cells grow better in a three-dimensional environment is important for the future treatment of disease with stem cell therapy. “We can see that the quality of the cells produced two-dimensionally is not good enough. By putting the cells in a three-dimensional environment and giving them the proper growth conditions, we get much better results. Therefore we are developing a three-dimensional culture medium in gelatine in the laboratory to mimic the one inside an embryo,” says Professor Anne Grapin-Botton from DanStem at the University of Copenhagen, who produced the results together with colleagues from Switzerland and Belgium. The international research team hopes that the new knowledge about three-dimensional cell growth environments can make a significant contribution to the development of cell therapies for treating diabetes. In the long-term this knowledge can also be used to develop stem cell treatments for chronic diseases in internal organs such as the liver or lungs. Like the pancreas, these organs are developed from stem cells in 3D. The research team has investigated how the three-dimensional organization of tissue in the early embryonic stage influences development from stem cells to more specialized cells. “We can see that the pancreas looks like a beautiful little tree with branches. Stem cells along the branches need this structure to be able to create insulin-producing cells in the embryo. Our research suggests that in the laboratory beta cells can develop better from stem cells in 3D than if we try to get them to develop flat in a Petri dish,” explains Professor Grapin-Botton. “Attempts to develop functional beta cells in 2D have unfortunately most often resulted in poorly functioning cells. Our results from developing cells in 3D have yielded promising results and are therefore an important step on the way to developing cell therapies for treating diabetes.”The research is supported by the Novo Nordisk Foundation, Swiss National Research Foundation, and the National Institute of Health (NIH), USA. The results from the paper “Planar Cell Polarity Controls Pancreatic Beta Cell Differentiation and Glucose Homeostasis” have just been published in the scientific journal Cell Reports. BIRMINGHAM, Ala. (Ivanhoe Newswire)- Type 1 diabetes is caused by the body’s own immune system attacking its pancreatic islet beta cells and requires daily injections of insulin to regulate the patient’s blood glucose levels. A new method found in the BioMed Central’s open access journal BMC Medicine uses stem cells from cord blood to reeducate the T cells in a diabetic’s blood to restart the pancreatic function and reduce the need for insulin. In Stem Cell Educator therapy, lymphocytes were separated from a patient’s blood over immobilized donated cord blood stem cells. After two or three hours in the device the revamped lymphocytes are returned to the patient. Progress was checked at 4, 12, 24 and 40 weeks after therapy. After 12 weeks results showed an increase in C-peptide levels. C-peptide is a protein fragment created from insulin that can be used to determine how well beta cells are working. Levels increased at 24 weeks and remained the same at the end of the study, meaning that the patient’s daily dose of insulin could be reduced. Also results showed that the glycated hemoglobin (HbA1C) indicator of long term glucose control also dropped for people receiving the treatment. Stem Cell Therapy Reverses Diabetes – CBS 42 Birmingham, AL News Weather Sports. Medical News: Stem Cells May Help in Type 1 Diabetes – in Endocrinology, Diabetes from MedPage Today. A study in 15 patients, 12 of whom received the treatment, found that lymphocytes “re-educated” by passage with cord blood stem cells, were effective in treating patients with type 1 diabetes with and without residual beta cell function. Both insulin requirements and glycated hemoglobin levels decreased significantly in the treated patients with effects lasting out to 40 weeks. Therapy using the patient’s lymphocytes passed through a device with cord blood stem cells may “educate” the patient’s cells to provide safe, lasting treatment for patients with type 1 diabetes, according to the results of a small Chinese study. 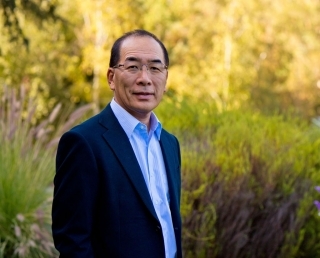 Those patients with moderate diabetes and some residual beta cell function (Group A) exhibited improved fasting C-peptide levels at 12 and 24 weeks post-treatment, Yong Zhao, PhD, of the University of Illinois at Chicago, and colleagues reported online in BMC Medicine. Intestinal stem cells respond to food by supersizing the gut. I am continuously amazed at the wet blanket attitude that is projected by so many in light of significant stem cell breakthroughs. · Diabetes Prevalence – Total: 23.6 million children and adults — 8.0% of the population — have diabetes. The total prevalence of diabetes increased 13.5% from 2005-2007. · 1.6 million new cases of diabetes were diagnosed in people aged 20 years or older in 2007. Ok, those are the numbers….So how SHOULD this article have been written? World celebrates as new results prove diabetes pandemic can be stopped in it’s tracks with early detection! Government to spend 10 million on improved early diabetes detection. (wait, where would they get the money…oh!) Money to be saved from not having to spend 100 million on late stage diabetes treatments. 5.7 million undiagnosed diabetes victims can now be saved from the trials of diabetes, amputation, blindness, kidney disease…etc with a single blood test. Maybe you can come up with a different slant? Point is; this is HUGE news! Can we now cure every diabetic in the world? No. But we can potentially cure MILLIONS and this is a time for celebration for those people…and a time for optimism for the potential cures for others who are more advanced (as the science improves)…not a time for warnings of limitations. I think caution is good…but we are talking about people who are living with diabetes! In my book, that makes them pretty damn tough already. They are not little kittens and they don’t have to have their hopes “managed” or “spoon fed” to them. In fact, raising their hopes may be EXACTLY what they need to survive through one more day of diabetes related pills and insulin, threats of blindness and amputation, reduction of lifespan, kidney and liver disease…etc. etc.